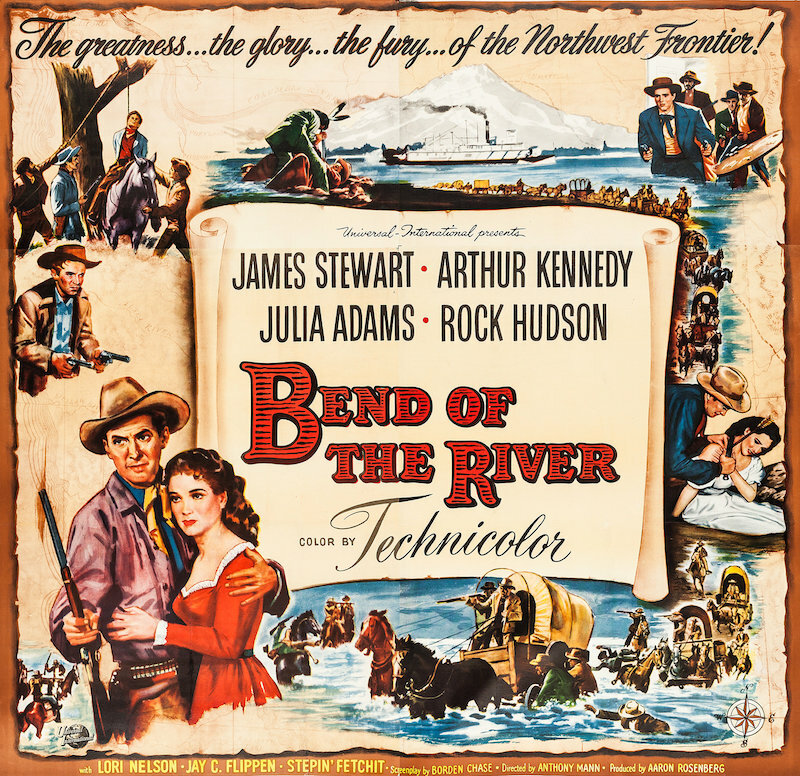 Arthur Kennedy | 50 Westerns From The 50s. DVD Review: The Lusty Men (1952). 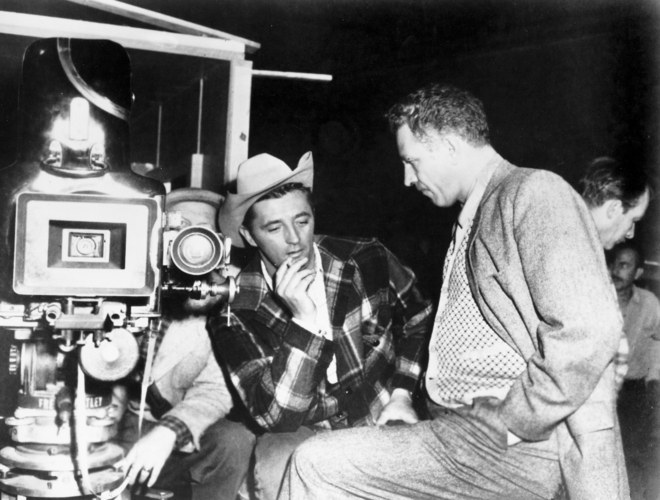 Whenever I see a Nicholas Ray picture, I usually want to see another one. Because after a favorite Ray film, about anything that comes after it’s gonna be a letdown. That’s especially true with The Lusty Men (1952), a brilliant movie at the top of a list of brilliant movies. 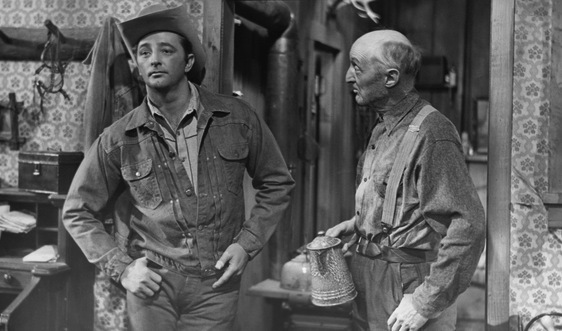 Jeff McCloud (Robert Mitchum), a banged-up, washed-up, tapped-out rodeo cowboy, agrees to mentor the up-and-coming Wes Merritt (Arthur Kennedy). 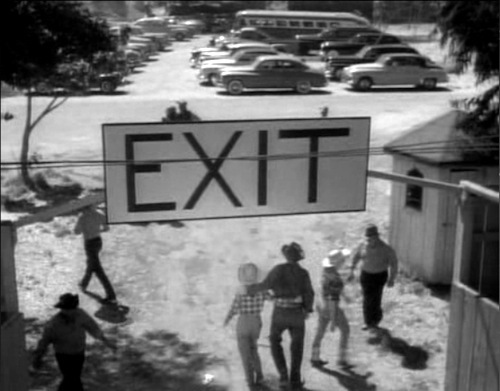 They set out on the rodeo circuit, with Merritt’s wife Louise (Susan Hayward) in tow. Wes is soon on his way to the championship, but at what cost? To himself? To his wife and their plans for a little ranch of their own? And to Jeff, who’s stuck watching someone else reach the position he enjoyed a few years before? Like most Nick Ray movies, it’s about so much more than it’s about. It touches on the corruptive nature of fame and money — and how we’ll risk our lives and relationships for a shot at them. It reminds us how futile it can be to attempt to recapture our past — whether it’s a childhood home or rodeo stardom. It serves as a modern-day riff on the classic Western theme of the gunfighter who wants to hang up his guns, but is trapped by his reputation (such as 1950’s The Gunfighter). And it gives us a good look at just how self-destructive we can be — a topic Ray would become an expert on. 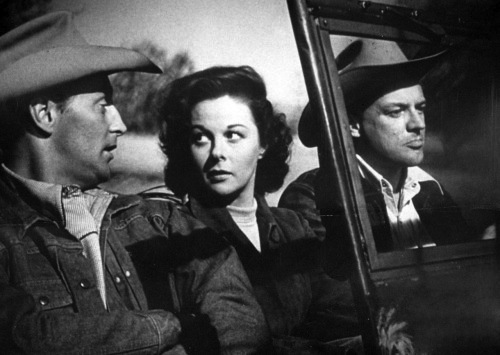 Louise (Susan Hayward): Wes tells me you once made three thousand dollars in one day, rodeoin’. Jeff (Robert Mitchum): That’s right. Jeff: Oh, I didn’t throw it away. It just sorta… floated. Louise: That’s pretty stupid, breakin’ all your bones, then lettin’ the money go. Robert Mitchum often dismissed his work, but he always had nice things to say about The Lusty Men. Ray gets a terrific performance out of him, and he does the same with Susan Hayward and Arthur Kennedy. Mitchum and Kennedy both went beyond the insurance company’s limits and really attacked the rodeo scenes, doing many of their own stunts. (They say even Nick Ray gave cowboy-ing a try.) This really adds to the film’s documentary feel, which incorporates lots of great footage shot on the rodeo circuit. 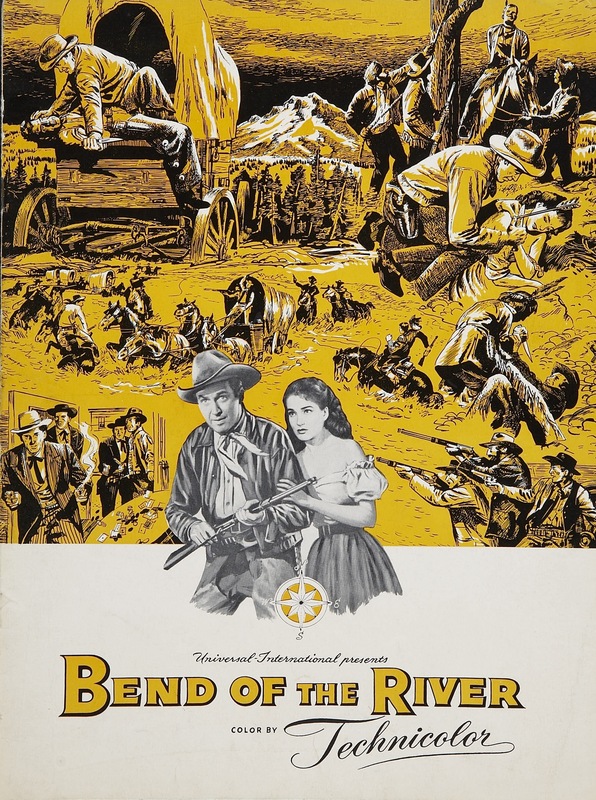 There are fine performances throughout, from Arthur Hunnicutt as a grizzled old cowboy, Walter Coy as a drunken, mangled saddle tramp, and Carol Nugent as a girl growing up on the rodeo circuit, to name just a few. Burt Mustin is incredible as Jeremiah, owner of McCall’s ramshackle family home — which the Merritts want to buy. This was an early film role for Mustin, who we all know from his endless appearances on TV — everything from The Lone Ranger to Dragnet to Leave It To Beaver (as Gus the fireman) to The Andy Griffith Show to All In The Family, and his work here is a supreme example of the contribution a character actor can make. Across the board, this is one of the best-acted films I’ve ever seen. Every line, every frame rings true. They say shooting began while the script was still being worked on, and that many scenes were worked out on the set. Hayward, who’d been brought to RKO from 20th Century-Fox at great expense, was not happy with the arrangement. However, it all came together and stands as one of Ray’s and Mitchum’s best films. By the way, its working title was Cowpoke; RKO owner Howard Hughes came up with The Lusty Men. My grandpa was a cowboy, a real one. He trained cutting horses and did a little rodeoing back before I came along (one of his trophies is among my most prized possessions — and it’d sit atop the TV if the damned things weren’t so skinny nowadays). Wish I’d had a chance to watch The Lusty Men with him. I’m certain he would’ve found its depiction of early-50s rodeo life accurate. But did he ever know a Jeff McCloud? Or a Wes Merritt? My guess is that he did. And when you think about it, all of us probably do — minus the cowboy hat. Warner Archive has come through with a picture many of us have been wanting as long as DVDs have been around. (I’ve been holding onto the old laserdisc for decades.) And they’ve served it up looking like a million bucks. It’s sharp and the contrast levels are near-perfect. Even if the DVD was abysmal, I’d recommend it. But looking like it does, it’s absolutely essential. You know, given our culture’s current fascination with celebrity and wealth, Ray’s picture is probably more timely now than it was back in ’52.